^ 2.0 2.1 Wood, Chris. Gordon Campbell (Profile). Macleans 112 (18). 1999. ^ Lee, Jeff. For the premier, it's all about change. The Vancouver Sun (Vancouver,BC). April 16, 2005: C3. ^ 4.0 4.1 4.2 4.3 Gordon Campbell steps down as MLA. CBC News. 2011-03-15 [2011-03-17]. ^ 5.0 5.1 5.2 5.3 金寶爾讓路助簡蕙芝參選 哈珀周二與新省長會面. 《星島日報》加西版. 2011-03-16 [2011-03-17]. ^ Ministry of Skills Development and Labour. Government Honours Labour Commitments. .news.gov.bc.ca. 2001-08-14 [2010-11-29]. （原始内容存档于2011年6月12日）. ^ Tuition Fees - Ministry of Advanced Education and Labour Market Development. Aved.gov.bc.ca. [2010-11-29]. （原始内容存档于2008-10-13）. ^ B.C. premier fined for drunk driving. CBC News. March 24, 2003. ^ Latest release from the Labour Force Survey. Friday, November 5, 2010. Statcan.ca. 2010-11-05 [2010-11-29]. ^ The BC Labour Market in 2001 (PDF). [2010-11-29]. ^ B.C. moves to 12 per cent HST. CBC News. July 23, 2009. ^ B.C. to harmonize provincial sales tax and GST. Canadian Press, via CTV. 2009-07-23 [2011-02-26]. ^ Surprise decision on new tax could kill tourism, service jobs | BC NDP. Bcndp.ca. [2010-11-29]. ^ Global BC; Ipsos Reid: Wednesday, August 5, 2009. Ipsos Reid/Global News HST Poll. Globaltvbc.com. 2009-08-05 [2010-11-29]. ^ Angus Reid Public Opinion. Angus Reid Public Opinion. Vision Critical. [2010-11-29]. （原始内容存档于2010-08-10）. ^ Tieleman, Bill. HST Hits and Myths. The Tyee. 2010-06-01 [2010-12-10]. ^ Blair Lekstrom Resigns. Globe and Mail. [2010-11-29]. ^ Shaw, Rob. Senior B.C. officials discussed the HST before the election, documents reveal. Times Colonist. 2010-09-02 [2010-11-29]. （原始内容存档于2010-11-21）. ^ 恐遭「逼宮」 金寶爾下台. 《明報》加西版. 2010-11-04 [2011-01-30]. （原始内容存档于2011-01-11）. ^ B.C. premier says public debate led to resignation. 加拿大廣播公司. 2010-11-04 [2011-01-30]. ^ Mickleburgh, Rod. Gordon Campbell hints he'll step down as MLA. Globe and Mail. 2010-12-05 [2010-12-06]. ^ Clark calls by-election for May 11. 《環球郵報》. 2011-04-13 [2011-04-19]. 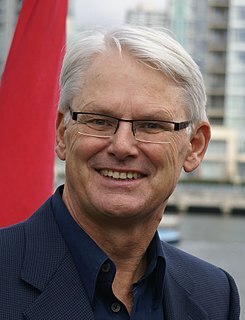 ^ Gordon Campbell among new diplomatic appointments. CBC News. 2011-08-15 [2011-08-16]. ^ Gordon Campbell to be high commissioner to Britain. CBC News. 2011-06-23 [2011-08-16].